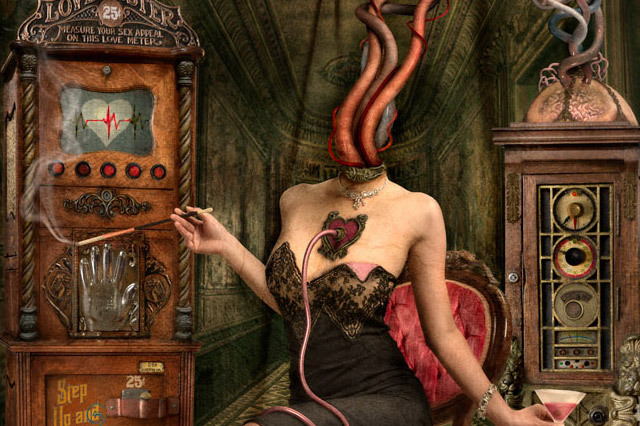 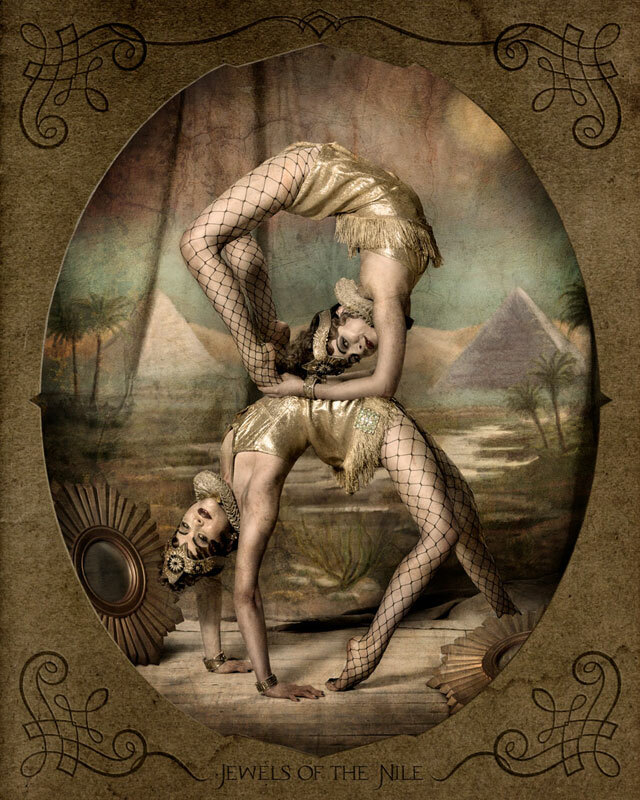 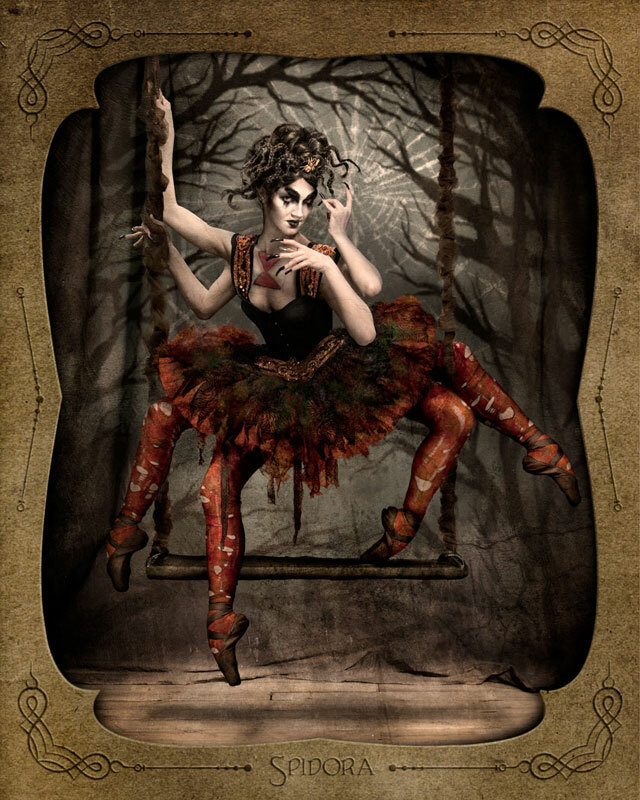 The Rough & Ready Sideshow series from photographer Jason Mitchell and digital artist Stacey Ransom reinvents the vintage cabinet cards of yore with a colorful whimsy that is both alluring and bizarre. 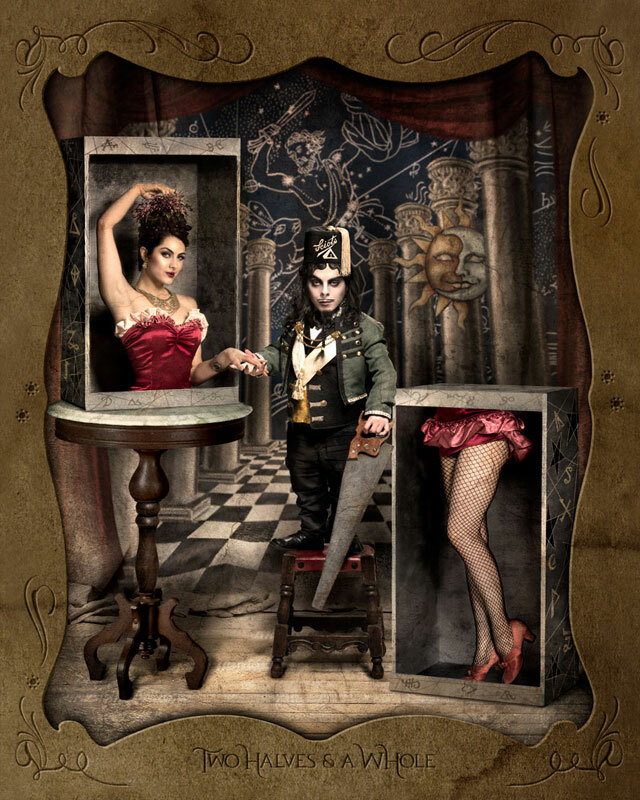 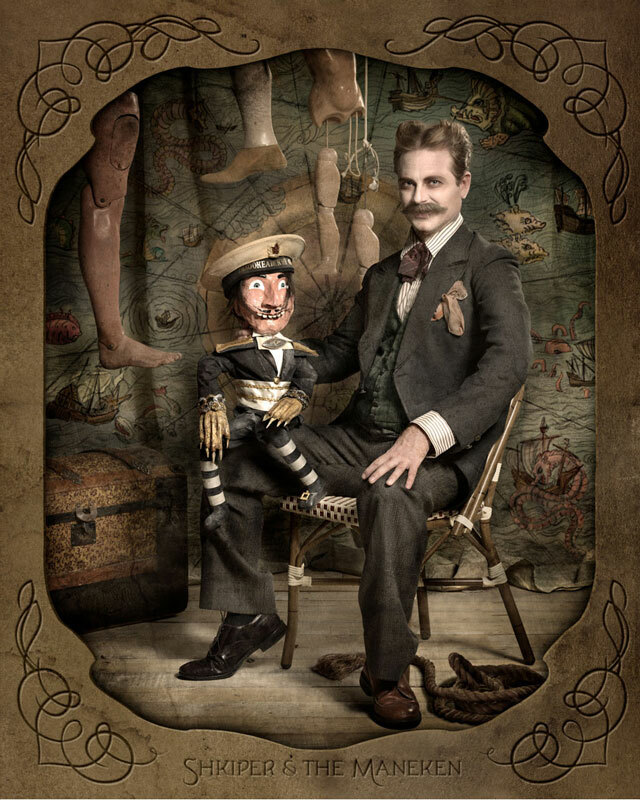 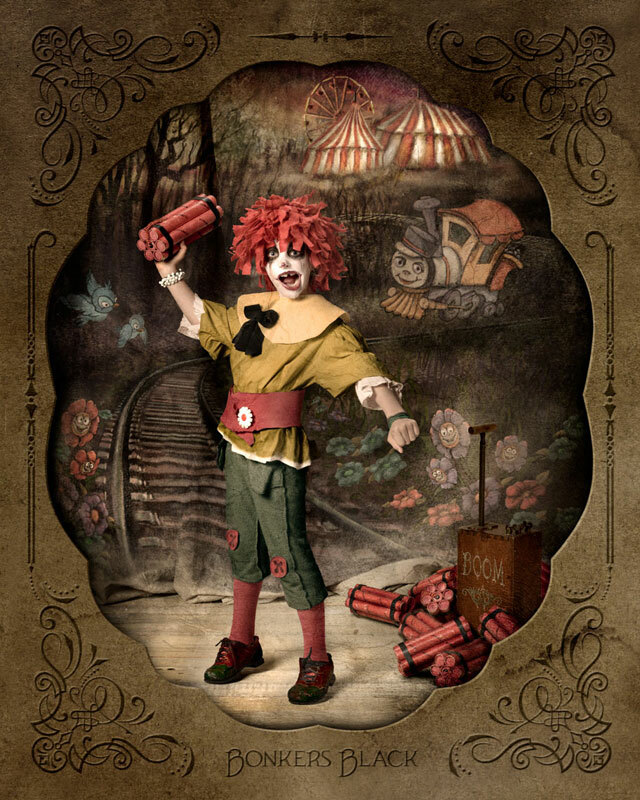 To create the intricate details of these circus portraits, Ransom & Mitchell sew costumes, build sets and fabricate props, then digitally paint the final touches that couldn’t be done in studio. 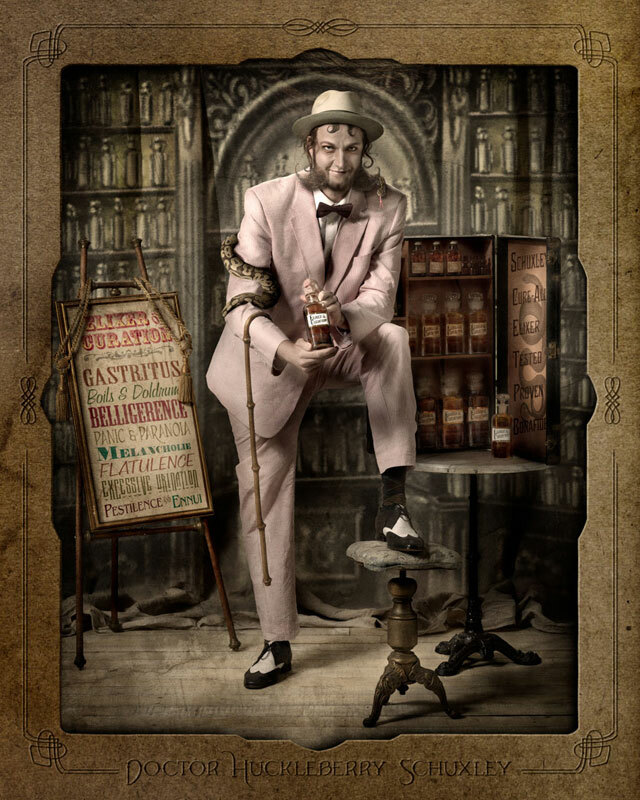 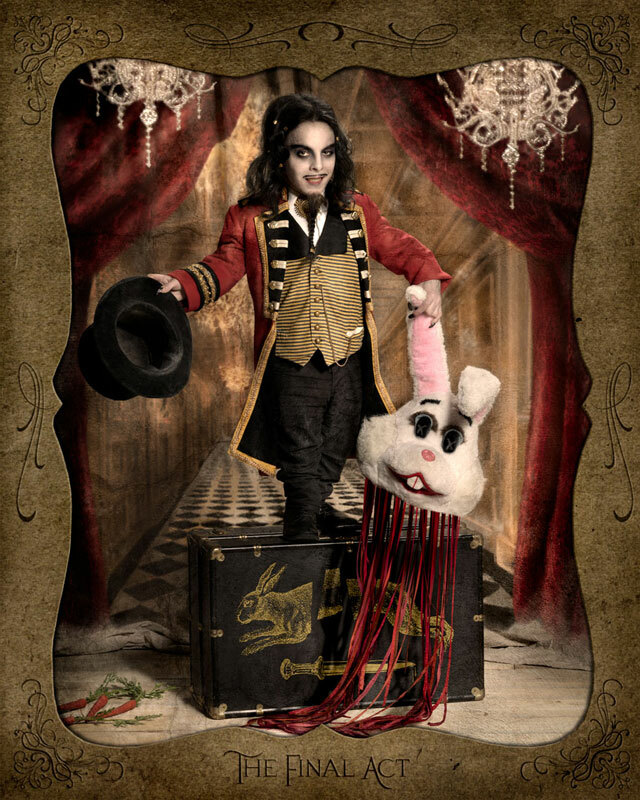 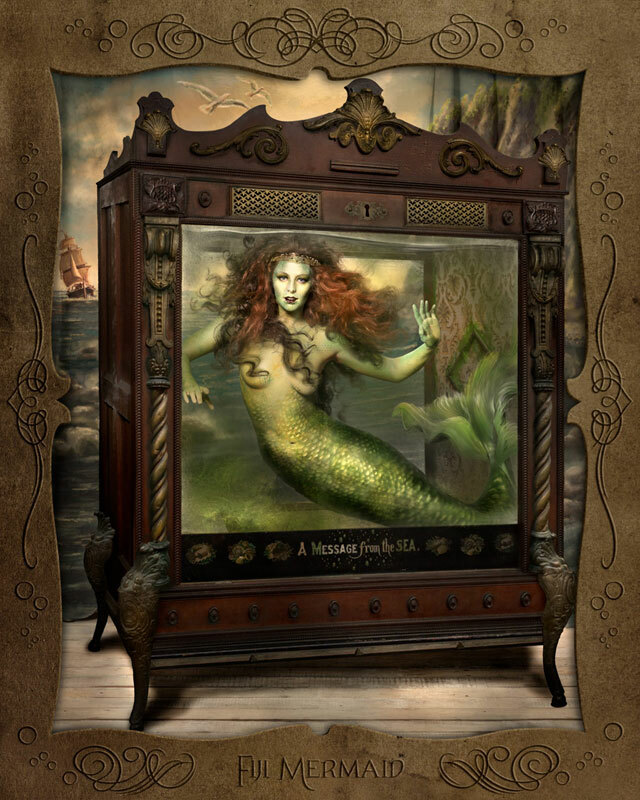 The Ransom & Mitchell retrospective exhibition at Vanilla Gallery in Ginza, Japan ends tomorrow. 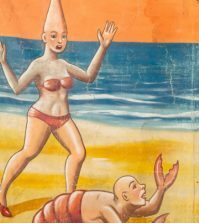 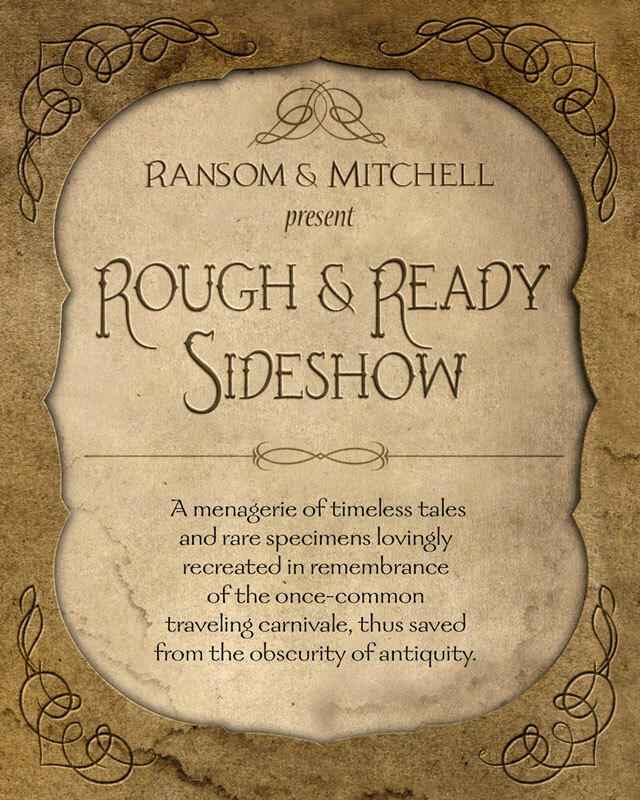 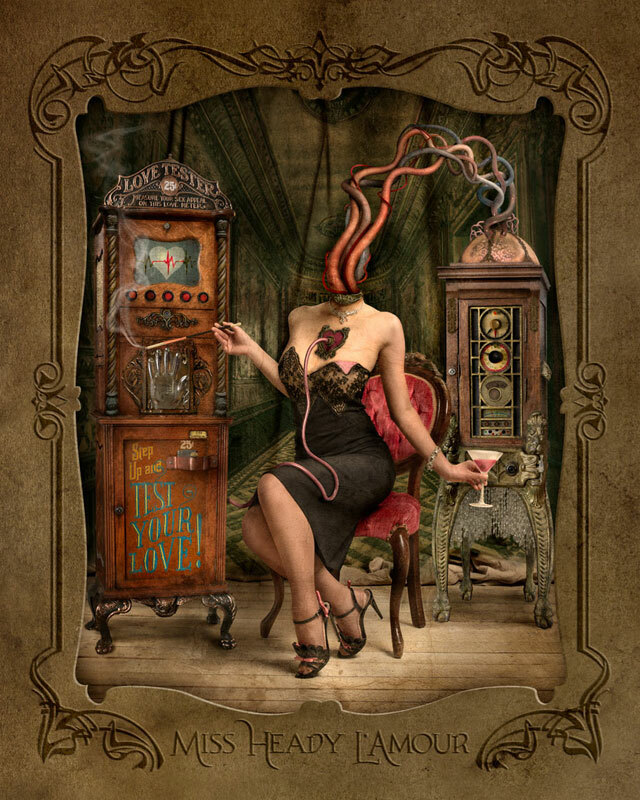 A menagerie of timeless tales and rare specimens lovingly recreated in remembrance of the once-common traveling carnivale, thus saved from the obscurity of antiquity.